TGIF! One of my favorite things about summer is being able to throw on an airy, comfortable dress and walk right out the door. The fact that you don’t have to think about it much makes it all the more enticing. On my most recent trip to New York, I had some free time between meetings, so I stopped in Aritzia in Soho. While perusing the racks I found this pintucked peasant dress and had to try it on. It was so simple, so easy, and just what I’d been looking for. This frock is the ideal travel piece – you may remember how I styled it as a top on Instagram last month? Clearly it’s multifunctional! A few other pieces worth seeing on Aritzia right now include this off-the-shoulder blouse, this suede fringe jacket, and this mindless little black dress. Hope you all have a wonderful weekend! That’s a very cute dress! I went to Aritzia the other day and found lots of gorgeous dresses. They have a great selection. Have a great weekend. I want to go on a European vacation in that dress! Absolutely in love with this look — so chic yet comfortable. My favorite! Precious dress on you… very summery and cool!!! Love Aritzia too! Supposedly there is one in Dallas, but I haven’t been. Only the one in Soho. Have a great weekend!!! Summer is all about comfy dresses like this. Love. 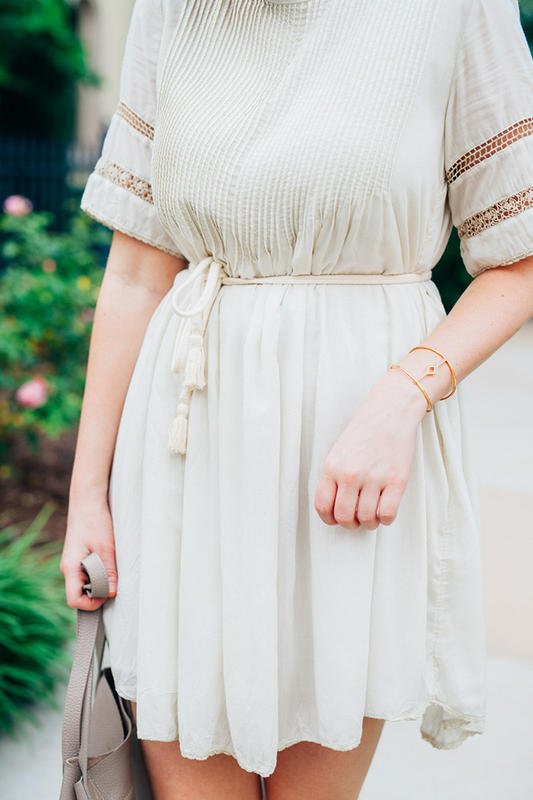 This dress is so easy and effortless! I love the pleated detail and the neutral shade! So flattering. What a gorgeous dress. I love summer for this reason, easy and beautiful dresses. This dress is gorgeous Merritt! I love that it has a little more grown up feel to it. Beauty! 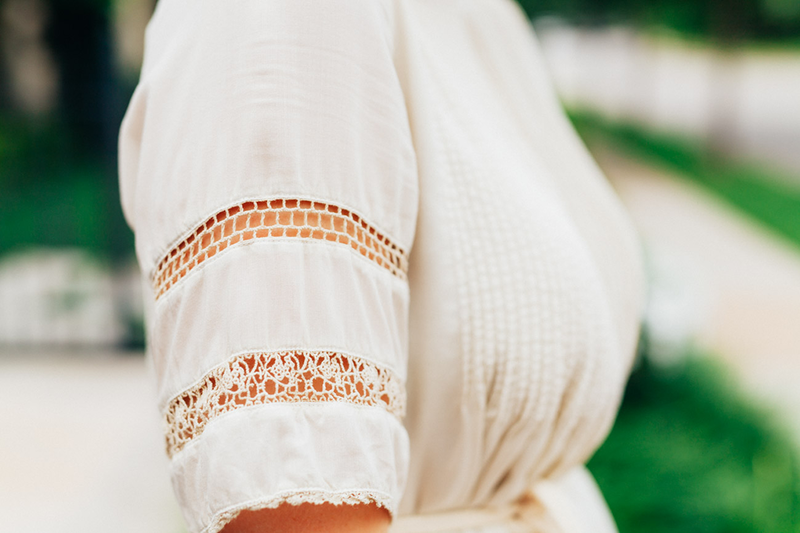 Love the crochet detail on the sleeves! Such a great summer look! This is my idea of the perfect dress! love the accessorizing you did here.